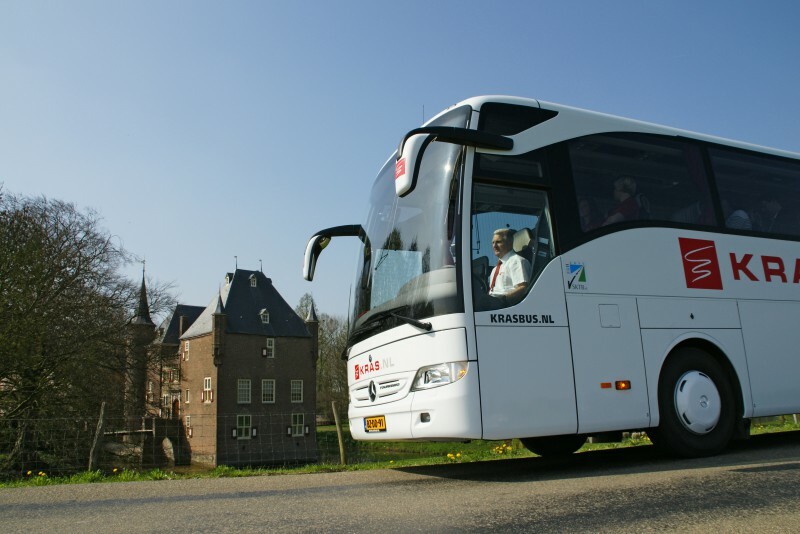 Certificated drivers - Krasbus.nl - Wij zijn pas tevreden als u dat bent! At he centre of our quality coach serivce is our team of drivers and we rely on them fully to deliver our promises to you. Experience, courtesy, patience and knowledge of the road are their watchwords. On average they have 20 years experience behind the wheel and are totally committed to your comfort and safety and that of your co-travellers. We regulary invest in training, language courses, we educate our drivers in technical matters of the coaches they drive, as well as how to behave and treat the clients. All our drivers are multilingual and speak at least, Dutch, German and English. A part of our team also speaks Italian, French and Spanish. Handpicked and rigorously trained, it's our drivers responsibility to make sure your verhices is clean and ready and able to deliver you and your clients safely, on schedule and in total comfort. All our drivers are well known in Europe. That's why we are the absolute specialist in driving Europe and Benelux tours for tour operators from all over the world.